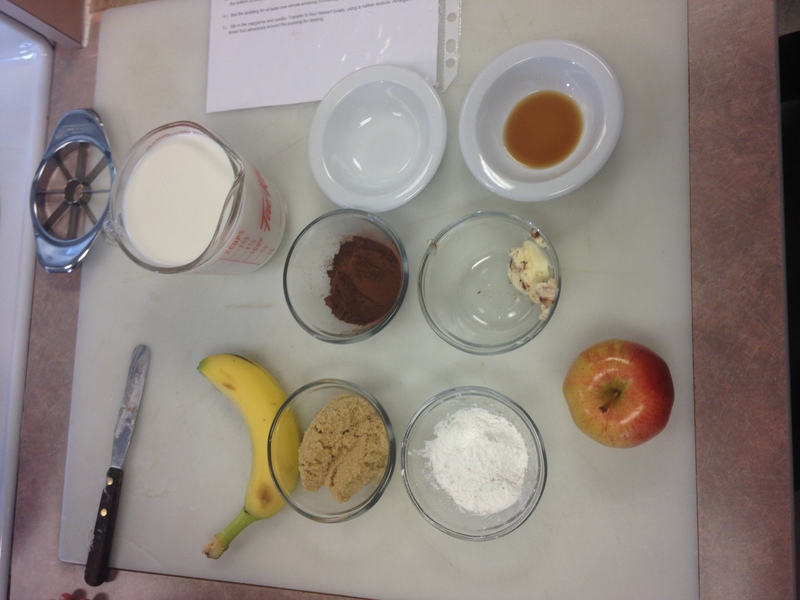 i chose the chocolate fondue because it was my favorite lab out of the march and april labs, it was my favorite lab because it tasted pretty good and it was a cool thing to know how to make and i dont think alot of people actually know how to make it. i did enjoy this lab because it was cool to make and very interesting, it also didnt tae many ingredients to make and you can make it relatively fast. 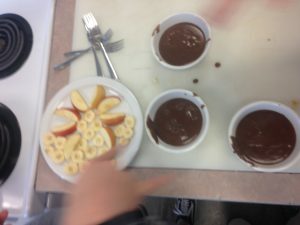 our group worked pretty well together, we did burn the chocolate fondue a little bit but it still didnt taste bad. if i were to do this lab again i would cook the fondue more carefully and not burn it and also i would bring more fruits to dip into it because i ended up only using like half of the fondue.